A DUI can happen to anyone. All it takes is for one moment of bad judgement to get behind the wheel of a car when you really should not. This one moment should not define the rest of your life. Contact the law office of Joseph C. Crudo for a San Diego DUI attorney. DUI’s account for over 100,000 arrests in California per year. If convicted, serious penalties will be faced. DUI’s can occur while under the influence of alcohol or drugs, whether over the counter, prescription or illegal. Any substance that impairs your ability to be a functional driver will be considered a DUI. Joseph C. Crudo and his team will work together to minimize your penalties. What is the Blood Alcohol Concentration Levels? For Adults 21 and older, a BAC of 0.08 or higher is considered unlawful to drive under. 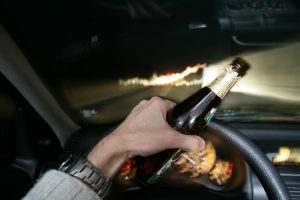 Under Age 21, a BAC of 0.01 or higher is unlawful to drive under. Commercial drivers cannot have a BAC of 0.04 or higher. If an officer has probable cause that you are driving under the influence, you will be asked a range of questions, as well as a voluntary breathalyzer test. You may also be given balance and coordination tests to check your sobriety. The officer will assess their observation, your statements, performance during sobriety tests, and the result of your breathalyzer test to determine if you will be arrested for a DUI. In the event that you are arrested, you will need to give a blood test that will be used as future evidence. If your blood test shows that your BAC is higher than 0.08, your license will be immediately suspended and confiscated. If the police officer did not have probable cause, this is where having a DUI attorney comes in handy, the case will be thrown out immediately. Your DUI will then lead to two separate cases. The first one is a license suspension hearing held by the California Department of Motor Vehicles. When you license is confiscated, you will receive a Notice of Suspension that serves as a temporary license for the next 30 days. Within 10 days of receiving this notice, you will need to schedule a hearing otherwise your license will automatically be suspended. For this hearing, it’s crucial to have a lawyer present so that you can keep your driving privileges. Your second case is the criminal proceeding, where you will be charged according to your BAC level. If you have been arrested for a DUI, please do not hesitate to contact us for a free consultation. Our team of lawyers in San Diego will help your DUI case in the best way possible. Call us at 858-622-7280 today or visit our contact us page to fill out our online form. Why Should I Get a DUI Attorney?